A legend of late night paranormal talk radio is returning to the air waves, although in these modern times, most will probably hear him online. However, for those nostalgic for yesteryear, shortwave radio will be one of many mediums the show will be broadcast. 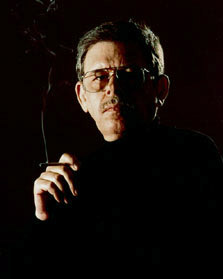 Art Bell is a founder and original host of the late night paranormal show Coast to Coast AM. Bell went into semiretirement in 2003, with occasional guest host appearances up until 2010. Bell’s fans were excited for his return when he began a new show on SiriusXM radio. However, the show only lasted six weeks. The satellite radio show must have gotten Bell’s creative juices flowing, because it has been announced that he will be returning to paranormal radio with an internet streaming show that is set to begin on July 20, 2015. The show will be called Midnight in the Desert, and like the name implies, will begin at midnight and run until 3 am eastern; 9 pm to midnight for those on the west coast in the pacific time zone. Unlike his last show, which could only be heard on SiriusXM, the new show will be broadcast on many mediums, allowing listeners several options in which to hear the show. As mentioned earlier, this even includes shortwave radio. The show’s website says they made a deal with a shortwave station out of Tennessee, WTWW on 5,085 khz. The live show will be broadcast for free. However, listeners will need to purchase a monthly subscription to listen to the archives. The starting fee for the subscription service will only be $5 a month. The subscription will also provide access to something they will call the “Wormhole,” which will allow users to send Bell message during the show. Guests will also be able to use Skype to call in or use good ole’ phone lines. The show is going to run on Dark Matter Digital radio network, where they currently run several UFO and paranormal related podcasts. They even rebroadcast Open Minds UFO Radio. Dark Matter Digital currently has a TuneIn app that allows listeners to listen to the network. Art Bell fans will be able to use that app to also listen to Midnight in the Desert when it launches. Dark Matter Digital is also planning a sneak peak preview show for Sunday, July 19, to test Bell’s equipment. Bell will be broadcasting out of Pahrump, Nevada, about 20 miles or so west of Las Vegas on the California border, and not too far from Area 51. 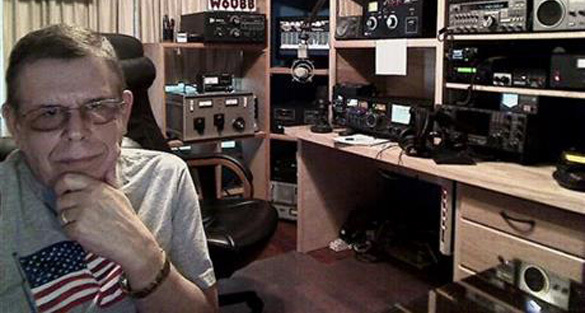 Art Bell’s return to radio has been long awaited, and many have rejoiced to the news of his return. There are even a few fan trailers on YouTube that have been produced heralding his return. Dark Matter Digital’s shows have been growing in popularity. Their lead techie, Keith, has told me they hold their broadcasters to a higher level of sound quality, and, according to their website, they claim the technology they will be using for Midnight in the Desert should make it one of the best sounding shows online. Although I am waiting impatiently for Art’s return I must say that even if the sound quality is great the current programing could use some work. Maybe , just maybe, he’ll hang around for longer than 6 weeks this time. I’m very happy that Mr. Bell is returning to broadcasting. Welcome back, Art! The nation and the world eagerly await your re-ascension to your rightful position as king of late-night radio. Welcome back old friend. George has always taken a back seat to you. You created it now take it back. Hoping it lasts for many years to come. Over the years you have interested me, surprised me, and delighted me I want this new endeavor to work out well for you for a very long time, because you have entertained me through the long nights on the road, and at home after retirement. Bring the world of strange to me once again. Here’s to your health Art, looking forward to hearing you again.